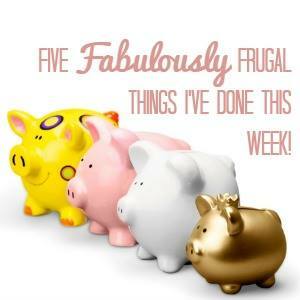 This week my five fabulously frugal things post is rather varied. I have made money, saved money and made savings which I am really pleased with. The musch anticipated 70% off Boots Sale finally happened today. Boots kept us on our toes this year as for the past number of years the sale has been on the third Wednesday after Christmas. This didn’t happen and threw bargain shoppers into confusion! Today the sale started but only in shops and not online. I was waiting at the doors at 8am this morning and vlogged the experience. I recently filled in a PPI form. I did not think I’d ever had PPI but I recall having a credit card in about 2002. I requested the form directly from my bank. I recieved the form and filled in the details I knew which was pretty much only my address and personal details. i had nothing about the card. I posted that on Monday and today had a letter from the bank upholding my complaint and offering me £87. I am stunned but pleased – I was definitely mis sold as I didn’t think I’d had it! I have had a great blogging week and upsold myself some work with a client. It shows that you should always ask for more work. It will lead to this month being very lucrative! I have meal planned this week using up food in the freezer. This has helped empty the freezer but also saved money on my top up shops. Erin has been making birthday cards for me that I can use for family and friends. She had a card making set for Christmas as she loves crafting. This is already saving me money as cards can be very expensive. Now people are getting personalised ones for free. I only ventured to our local out of town Boots store today as I didn’t fancy the main store with the pushchair. I managed to get a couple of presents and the soap & glory crackers. I’m sure Erin’s cards will be lovely, and much appreciated by their recipients – great money saver! I’ve finally given in to the copius phonecalls and am doing a PPI check. I’ve had many credit card over the years so basically I am trying them all. 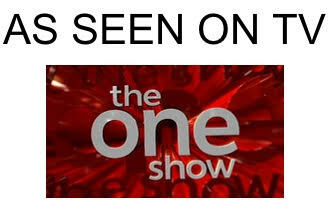 I highly doubt there will be any money but I am giving it a go. Oh my goodness what a haul!